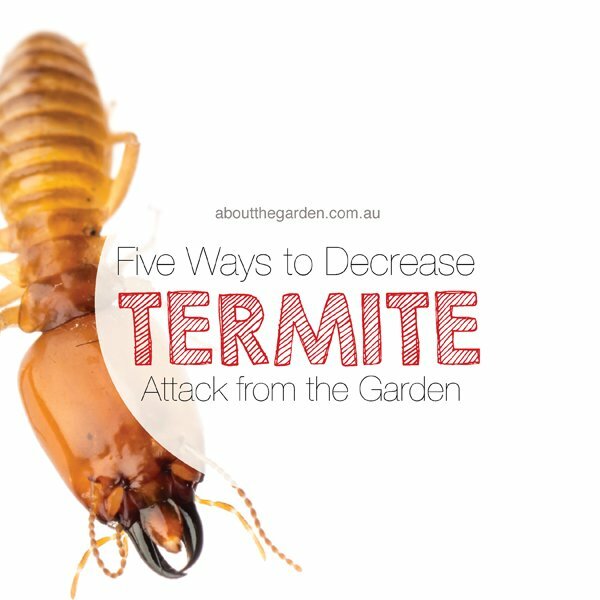 Secretly, each day, there are millions of insects in gardens fighting the good fight against other insects which cause damage to our loved garden plants and trees. 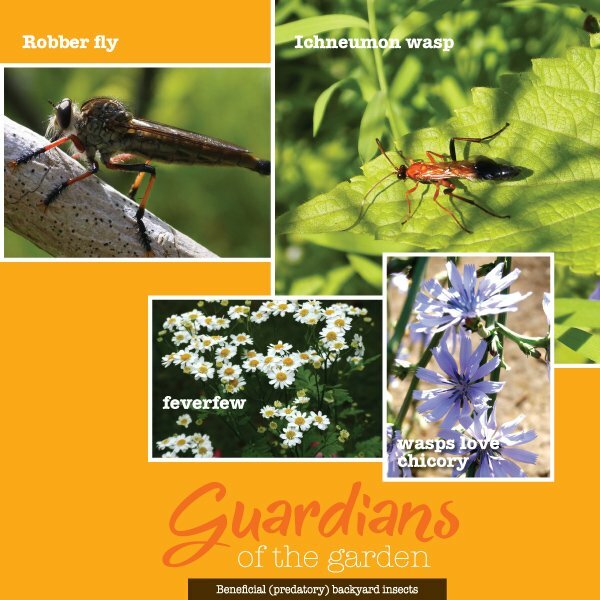 Lets take a look at beneficial insects in the backyard. 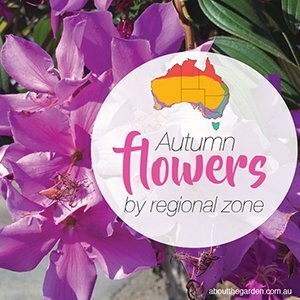 Along with the pretty and well-known species that we recognise buzzing about pollinating plant to plant, they are mirrored by those that wish to prey on our prized plants and flowers during the warmer months of the year. Yet despite all of this, we have our own natural defence force at our disposal that we can support to help our gardens reach their fullest potential. The beneficial predatory army! Identifying and understanding those natural insect predators that lurk within our backyards isn’t all that difficult. Accepting them and being aware that they are part of your backyard border patrol is the first step to strengthening our defences without the need for harmful chemical sprays while raising biodiversity and upholding a healthy gardening environment for all. Here are just a few to look for in your garden this summer gardening season. We all know and love the sweet little ladybird. They come in an assortment of colours from orange, red, yellow and even black and are classified under many different species and are in the order of Coleoptera. Ladybirds are primarily found on plants (such as roses) that harbour the likes of Aphids as this makes up a large percentage of their diet yet some may also forage on the likes of fungus, mealy bugs, scale insects and in the case of the 28 spotted ladybird, even plants! All however are regarded as beneficial as they will help to keep the populations of these pests to a more manageable level. The immature larval stage of ladybirds are as just ferocious eaters of pests as the adults and can consume several times their own weight in young aphids. As adults, they also enjoy the benefits of nectar rich flowers which attract them to the garden. Try growing the likes of scented pelargoniums, cosmos, tansy and angelica to name but a few. 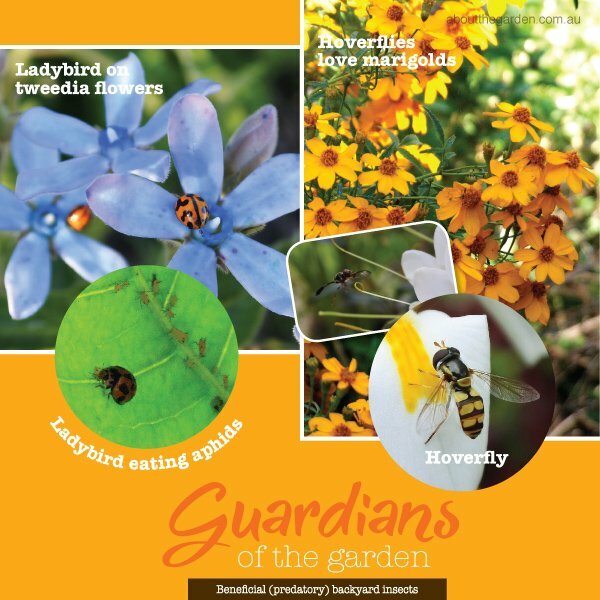 Note: To avoid attracting the 28 spotted ladybird ( however beneficial) (due to its appetite for plant material) ensure that common weeds such as Blackberry nightshade (Solanum nigrum) are eradicated from your garden as they will often be found in great numbers on these prior to them moving into the rest of the garden. These small flying insects can be found on a global scale and have proven themselves worthy time and time again. They come in a few colour forms yet the most common will have black and yellow markings on its rear that often resemble a wasp at first glance. This clever mimicry helps them to avoid being eaten themselves by a larger predator. Hoverfly larvae are fierce predators of small sap-sucking insects such as aphids and thrips, plus they will also feast on small caterpillars. The adult insects are amazing pollinators in their own right as they scour nectar-rich blooms and are being further studied for this ability in the absence of honey bees. Their ability to stay completely motionless while remaining airborne in one spot is a dead giveaway of their presence in around flowers and plants. Hoverflies are highly attracted to yellow flowering plants such as members of the Tagetes family (Marigolds), Calendulas, and old cottage garden favourites such as Achillea (Yarrow), Queen Anne’s lace, Cleome and Asters. 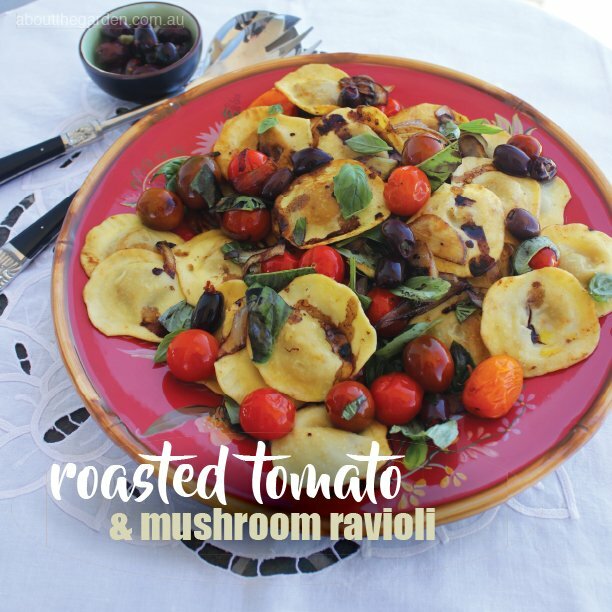 Some species will often be found targeting members of the mint family such as Salvia, Ajuga or Basil prior to the females laying eggs to ensure a rich food source for the next generation. Praying mantis can be found in all warmer parts of the world and are a strong predator. 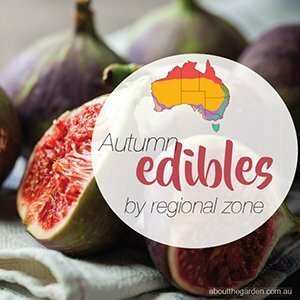 They are a solitary species that roam the garden no matter the plant species looking for unsuspecting prey that are all too often highly focused on devouring plant material. For an insect of its size, they are highly intelligent and will often gaze back at humans with an inquisitive set of large alien-like eyes! Mantis will prey on any soft bodied insect such as caterpillars, beetle larvae, ants, small spiders, small butterflies and moths, aphids and mealy bugs. The larger females produce an intriguing egg sack on plants that dry hard and brown of which up to one hundred tiny offspring emerge at the end of summer to begin their solitary lives from the get go. 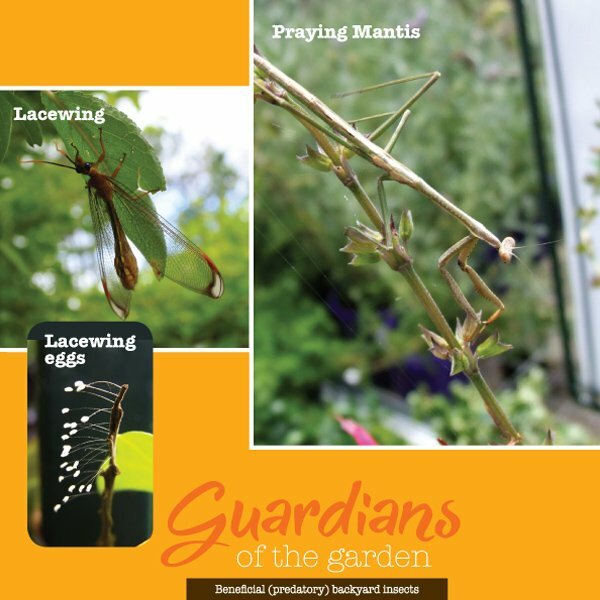 Most people do not recognise these egg sacks as that of a mantis and simply cut them off the chosen plants and place them either in the compost or underfoot. Although Mantis can be found on an assortment of plants, they seem to have a special fondness for the likes of Dill, Fennell and Goldenrod as these plants seem to also attract smaller insects which are easily pounced upon. 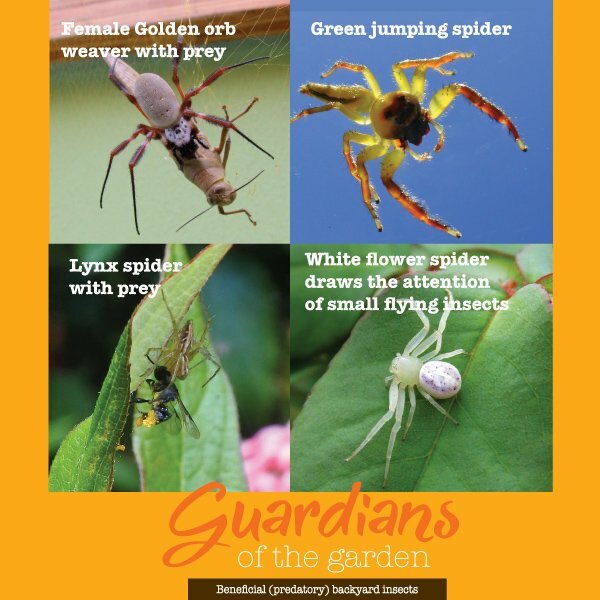 Although unnerving to many, spiders play an important role in our gardens. There are several thousand different species to be found around the world with many that require to be treated with full respect due to their venomous nature, but there are also many more that play a silent role in our gardens to help control many common pests. All spiders are solitary by nature and only come together for breeding purposes and even then, the male of most species are regarded by the females as a dinner option after the act! The common lynx spider (Oxyopes quadifasciatus) is a small harmless species that travels across many smaller shrubs and waits in ambush to catch its prey. They stay close to the flowering of many plants in the hopes of catching a passing bee, small butterfly, ants or small caterpillars. The green jumping spider (Mopsus mormon) can always be found during the heat of summer on low growing plants, in cars, steps and walls. This tiny spider slowly sneaks up on its prey and can jump from plant to plant in search of prey such as small flies, ants, mealy bugs and many other small crawling insects. Like the lynx and green jumping spider, the flower spider (Diaea evanida) is also solitary in its hunting and will often be found resting just underneath a daisy flower or something similar that draws the attention of small flying insects that stop for a sup of nectar. All three of these spiders do not make a web, yet the female Lynx spider often requires seed heads of many grasses in order to build a nest in which to lay its eggs….similar to a hanging birds nest, but only in miniature. 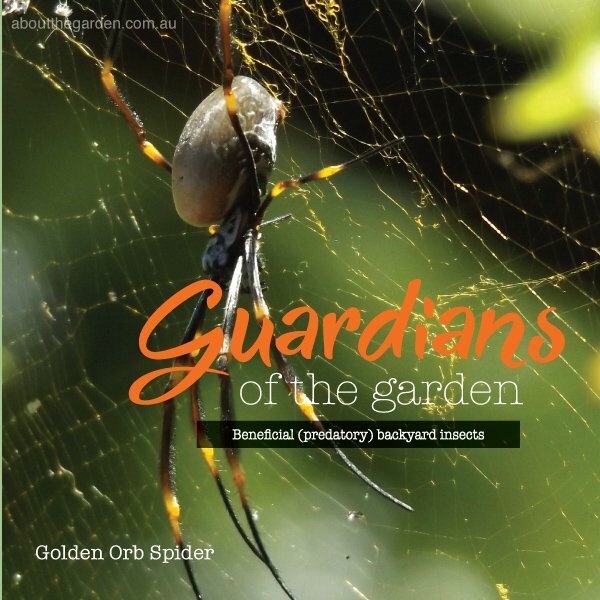 One of the larger spider species to frequent our backyards is the golden orb weaver (Nephila plumipes) . Females are often ten times larger than the tiny males and are (admittedly) a little intimidating to observe, yet couldn’t be less interested in humans. They make strong, golden silken webs (sometimes) in the most inconvenient of places such as across pathways, doorways or under archways. Orb weaver spiders are simply one of the very best spiders for keeping pesky mosquito and fly populations under control as they can catch many thousands in their lifetime. A truly intimidating household spider is the Huntsman spider (Heteropoda jugulans). This group incorporates several species and they can often be found chasing prey across tree trunks or over rocks or fallen logs. They are a nocturnal predator and are often discovered within homes where they have chased their prey such as cockroaches, silverfish or other small spiders. Note: Although the spiders mentioned are regarded as harmless and non-venomous to humans, it is strongly suggested that handling of any spider should be avoided. Night time is the perfect time for one of our more intriguing natural predators, the Lacewing. These nocturnal insects search for unsuspecting prey such as small grubs, aphids and mealy bugs (amongst others) during the night. This is most distinguished by their large eyes which allow them excellent night vision. During the early morning and throughout the day they can be encountered resting underneath densely foliaged plants such as hibiscus, Plectranthus or coleus. Although they have large wings, they are weak flyers and can only manage to fly a few metres before requiring rest. They in turn are easily predated by small birds and reptiles if they move around too often during the day. Their young larvae however are wonderful daytime predators feasting on most small insects that plague roses and vegetables. They have the amazing ability of disguising themselves with plant debris which they attach on their backs on small spines. During the summer, the adults are highly attracted to the lights in our homes of an evening and can be found flying inside. Robber flies are fierce predators of the garden yet are easily overlooked as they usually hide in higher branches of trees and shrubs awaiting their prey to fly by. They often catch their prey in mid-flight and will eagerly catch any other flying insect that it can fit within their strong legs. Wonderful at catching other pesky flies, moths (especially grey lawn grub moths) and some bees, they truly keep population explosions firmly under control. They enjoy a well planted garden that provides high vantage points in which to zone in on their prey from above. Mention the word wasp to many, and their instinct is to reach for the insect spray in fear of being stung. All too often, painful memories of hornets protecting their nests like an armed squadron of fighter jets in pursuit of an unsuspecting gardener spring to mind while trimming plants. But not all wasps behave like this; in fact a vast majority of garden wasp species are amazing natural predators and are amongst the most fascinating of insect species in your backyard. All predatory wasps hunt tirelessly for their prey on many different plant species for the widest assortment of prey. The tiny banded Ichneumon wasp can be found most commonly hunting on citrus species in search of citrus leaf minor as they primarily search for caterpillars and if successful, will sting and paralyse them after which it will lay an egg within the tiny bodies of the unsuspecting prey (which by the way survive). This tiny egg hatches into a small pupae while its host is still alive and feeds on the host from the inside out. Sounds gruesome I admit, but it does make you wonder if some of the most successful of Science fiction movies of all time were inspired by the trials of nature! Other wasp species such as potter wasps (that make their nests from mud), also hunt for prey such as grubs, small spiders and caterpillars on plants and when found will parasitise them, then proceed to bring them back to their mud nest where they will feed them to their growing larvae. Adult predatory wasps do not eat their prey, they actually feed off nectar from flowers such as sunflowers, daisies, lavender, feverfew, basil and chicory (amongst many others), yet their pupae are carnivorous and like all growing youngsters, have a never ending appetite! 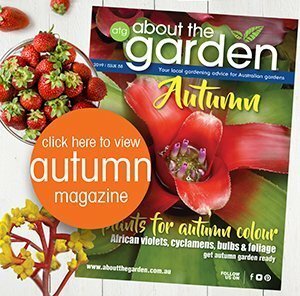 Subscribe to our mailing list & receive our eMagazine FREE, along with monthly gardening updates!